April is a month of many birthdays for us here at Indonesia Tatler, with friends both near and far celebrating their special days—so if you’re one of them, many happy returns. It’s also the month when we celebrate Kartini Day to honour Raden Adjeng Kartini, who was a pioneer in pushing Indonesia towards aprogressive integration of women into a society from which they were once marginalised. While pretty much all of our readers will be familiar her story, it’s worth noting that the emancipation of women often goes hand in hand with a maturing and inclusive democracy. Thus, here in Indonesia, we enshrine religious freedom alongside female empowerment, which makes us unique among countries, and which should make us very proud. Of course, this also means that we celebrate and honour the achievements of many outstanding women in this issue. 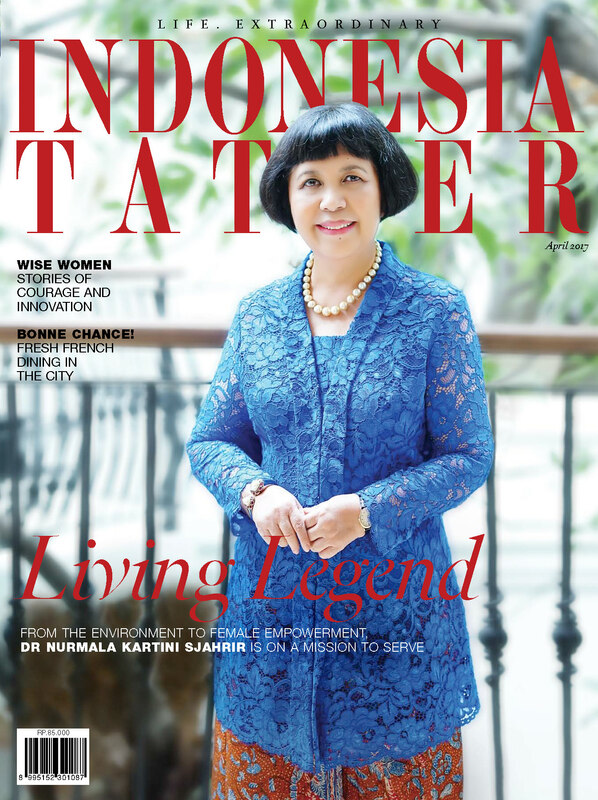 One such woman is also our cover lady this month: Dr Nurmala Kartini Sjahrir, who both serves society and perfects her passions when it comes to environmental protection and preservation. We also delve into the art world and take a look at Grace Samboh, who was invited by RUCI Art Space to curate Y: Collect 2.0, with the result being the faces of young private collectors who are supporting the development of Indonesia’s contemporary art scene. And to prove that beauty is much more than skin deep, we chat with the founder of Kleo Beauty Studio, named after none other than Egyptian beauty and female pharaoh Queen Cleopatra. Talk about powerful women! But this issue isn’t entirely dedicated to reflecting traditions. We also look at new ways of taking things to new levels, which is exactly what the blink-and-you-miss-it Avec Moi is doing. This is a charming French restaurant tucked away in the shadows of Grand Indonesia and well worth a try. We also bring you all the style, beauty and fashion news, and for the guys: after all that shopping you probably deserve a wee snifter of Chivas Regal Extra. You’ve earned it.